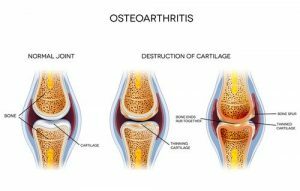 Osteoarthritis (OA) is a “wear and tear” condition of the joint cartilage. It is the most common form of Arthritis, most often affecting the hands, hips, knees and spine. These joints have a lining of “cushioning” cartilage that covers the ends of each bone that form a joint (such as the knee). With injury or long term overuse (or misuse) of a joint, these cushions can wear away, leaving roughened areas or even exposed bone. You are more at risk of osteoarthritis if you’re over the age of 40, or you’ve had an injury in that joint previously; if you’re overweight; if you’ve held an occupation that placed a lot of stress on certain joints for a long time and women are more likely to suffer from OA than men. For more information, here’s a great general explanation of OA. Pain: in and around the joint, and even in the supporting musculature that helps move that region. The pain can happen during or after movement or exercise, after a period of immobility (like sitting in a car for a long drive) or at night. There are even reports of pain increases when the weather changes! Swelling around the joint: this can happen after periods of overuse, where the body tries to “add cushioning” to the area by creating oedema to protect the joint surfaces. Unfortunately, in the long term, this inflammation can contribute to the degenerative process. Joint Stiffness: can be experienced after periods of immobility (such as when waking up in the morning). Loss of range of motion: whether due to pain, joint deformity, or weakness of surrounding muscles, the joint may not be able to move to its full range. Crunching Noises or Sensations: Due to the “roughening” of the joint cartilage, or changes to the movement of the joint, crunchy sounds (crepitus) can be heard or felt within the affected joint. Medication: There are a number of choices for helping with the pain relief and swelling associated with osteoarthritis. Always check with your GP as to which choice would be best for you. Surgery: when the condition has become serious or painful enough, surgical options can be used to treat osteoarthritic joints. Anything from injections of steroids or lubricants, to bone realignments, to partial and full joint replacements could be an option. Conservative: Here’s where we at Mobilise can help. Our Myotherapists are well trained in the assessment and management of osteoarthritic joints, and the musculoskeletal issues that can occur because of this condition. We aim to create space in the joint, by reducing the protective or reactive muscle spasm surrounding it. We also help you to improve your flexibility and joint strength by reducing muscle imbalances (lengthening muscles in spasm, and activating weak muscles). But most importantly, we help to reduce the joint pain, and we teach YOU how to keep the pain managed without needing us too frequently. Stay active and within a healthy weight range. Increasing body weight puts extra stress on the joints, wearing the cartilage away at a faster rate. Staying active with moderate exercise four times a week, with at least two of those sessions being non-weight bearing (like cycling or swimming), will keep your muscles strong without putting strain on your joints. Make sure you check with your GP or your Myotherapist for the best choices of general exercises to stay fit, and your Myotherapist will create a specific rehabilitation plan for the arthritic joint, to ensure it stays strong, flexible and with as little pain as possible. HEAT, HEAT, HEAT. 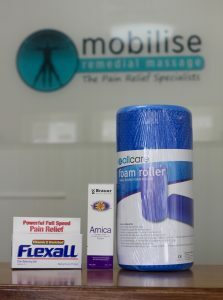 Using a hot pack or a hot water bottle on the aching joint can reduce pain. 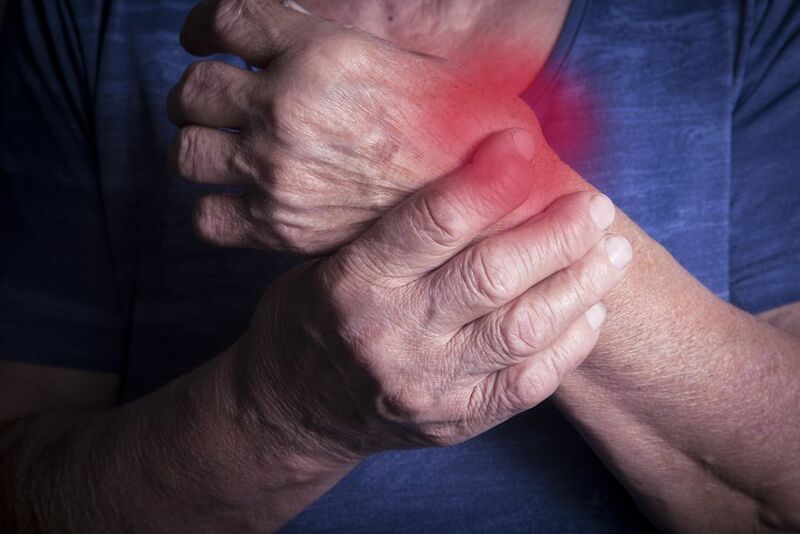 Even if you use a warm shower in the morning to get going, or start washing your dinner dishes by hand at night to relieve achy hands, use warmth to reduce pain experienced with osteoarthritis. Heat also relieves stiffness in the joint, helping the lubricating fluid within the joint to do its work. Stretch! Your Myotherapist can design a safe stretch plan that you can do at home to keep your body flexible. This helps the muscles affected by pain to stay functional, and keeps the joint space as open as possible, aiming to reduce how much those rough sections rub against one another. Stretching won’t take you long, so you can do it daily to keep yourself moving, and manage your pain. Change or modify your movements to reduce the degenerative process. Have a look at the lifestyle and ergonomic choices you’re making daily. Do you feel arthritic pain from movements or postures at work? Is it a hobby like gardening, or a sport that is causing the joint pain or swelling? Our Myotherapists will help you to find other ways to achieve your tasks, whether they be lifestyle or work based, and can recommend postural or joint braces/aids or new techniques for sports or movements. We can also teach you correct postures for sitting at desks or lifting to help you to get through your day with less pain. Regular Treatments: While each patient will need a different amount of maintenance to manage their pain, depending on their activity level and adhesion to rehabilitation plans, your body will try to adapt to the changes created by the pain associated with arthritis. These adaptations can include increasing muscle tightness and reducing joint flexibility. While your home rehab plan may be enough to keep you going, many patients do need a maintenance treatment every month or so to give you a super-charged boost away from the effects of OA. Our Myotherapists can use massage, facilitated stretching, traction or even dry needling to get you back to your best quicker than rehabilitation alone. We will work with you to create the most appropriate management plan for the severity of your OA, including looking at other medical options and working with your doctor or specialist. If you would like any further information on how we at Mobilise treat Osteoarthritis, or you would like to book an appointment with one of our experienced and knowledgeable therapists, please call us on 0473 090 442, or BOOK ONLINE NOW.